Sweeney, Mason, Wilson & Bosomworth has been representing businesses and individuals in the Bay Area since 1990. Joseph Sweeney formed the firm with Roger Mason and Kurt Wilson after his downtown Los Gatos law office was damaged in the 1989 Loma Prieta earthquake. 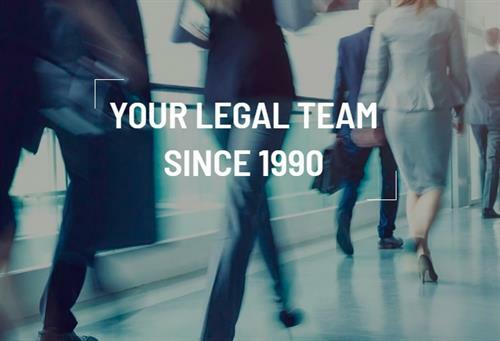 Over the years the firm has grown in prominence and is currently well established as a leading law firm in the Bay Area. SMWB is a full service law firm providing substantially all of the legal services required by small and mid-sized companies and serving the estate planning and probate needs of individuals and families. SMWB represents clients in seven primary areas of the law, including Civil Litigation, Construction, Corporate and Business, Intellectual Property, Labor and Employment, Estate Planning, Trusts and Probate, and Real Estate law. SMWB provides its clients with cost effective, result oriented legal representation of the highest caliber. Our success is the result of a reputation for providing superior client service without unwarranted expense. The attorneys in each practice area collaborate to ensure that every client’s needs are served and that lasting client relationships are fostered. The firm has memberships with the American Bar Association, California State Bar, Santa Clara County Bar Association, Associated Builders & Contractors, American Subcontractors Association, American Electronics Association, Associated General Contractors of California, National Association of Women in Construction, local Chambers of Commerce (Los Gatos, San Jose, Santa Cruz and Scotts Valley), Construction Financial Management Association, National Electrical Contractors Association (Contra Costa, San Mateo and Santa Clara Chapters), and United Contractors.